The Judaizers also strongly advocated the necessity of keeping the Mosaic Law in order to be saved. But here again, simply the sequence of Old Testament events should have shown them the foolishness of that belief. Abraham not only was declared righteous about 14 years before he was commanded to be circumcised, but more than 500 years before God revealed His law to Moses at Sinai. Isaac, Jacob, Joseph, and countless other Hebrew believers lived and died long before the written law was given by God. Just as the Judaizers and their Galatian victims should have known that justification is by faith and not circumcision, they should also have known it is not by the Law. Therefore after showing what faith can do, Paul now shows what works cannot do. As in verses 6–9, his argument is based on the Old Testament. In his defense before King Agrippa in Caesarea, Paul states the scriptural foundation of all his preaching and teaching: “Having obtained help from God, I stand to this day testifying both to small and great, stating nothing but what the Prophets and Moses said was going to take place; that the Christ was to suffer, and that by reason of His resurrection from the dead He should be the first to proclaim light both to the Jewish people and to the Gentiles” (Acts 26:22–23). The ancient rabbis were so absolutely convinced that salvation could only be earned through keeping the law that they tried to prove God had somehow revealed His law even to the patriarchs and other saints who lived before Moses and that those people found favor with Him because they kept His law. Because they could not bring themselves to consider limiting the supremacy of the law, the rabbis sought instead to reconstruct history and the clear teaching of God’s Word. But Paul turns the tables on them again. “Don’t you realize,” he says, “that as many as are of the works of the Law are under a curse?” That question would have utterly perplexed the Judaizers, who would have responded vehemently, “We know no such thing. How can you speak such foolishness?” “Have you forgotten Deuteronomy, the last book of the Law?” Paul asks, in effect; “for it is written, ‘Cursed is everyone who does not abide by all things written in the book of the law, to perform them’ ” (see Deut. 27:26). A curse is a divine judgment that brings the sentence of condemnation. The apostle’s emphasis in the quotation was on the requirement to abide by all things. In other words, the fact that those who trust in the works of the Law are obligated to keep all things in the law, without exception, places them inevitably under a curse, because no one had the ability to abide by everything the divine and perfect law of God demands. Paul confessed his inability to keep the law even as a devout Pharisee. He testified that “this commandment which was to result in life, proved to result in death for me” (Rom. 7:10). Even as a believer he said, “I myself with my mind am serving the law of God, but on the other, with my flesh the law of sin” (Rom. 7:25) If men proudly insist on living by the law, it will curse them, not save them, because they cannot possibly live up to it. The legalistic Jews had “a zeal for God, but not in accordance with knowledge. For not knowing about God’s righteousness, and seeking to establish their own, they did not subject themselves to the righteousness of God. For Christ is the end of the law for righteousness to everyone who believes” (Rom. 10:2–4). Consequently, they unwittingly placed themselves under God’s wrath rather than His blessing, because they could not live up to His law and they would not submit to His grace. Paul reminds his readers again of more teaching concerning God’s way of justification: Now that no one is justified by the Law before God is evident; for, “The righteous man shall live by faith,” quoting this time from Habakkuk 2:4. The passage from Deuteronomy proves justification cannot be by the Law, and the passage from Habakkuk proves it must be by faith. The ways of law and faith are mutually exclusive. To live by law is to live by self-effort and leads inevitably to failure, condemnation, and death. To live by faith is to respond to God’s grace and leads to justification and eternal life. Quoting another Old Testament text (Lev. 18:5), Paul again turns Scripture against the Judaizers by showing them that salvation by works and salvation by believing are mutually exclusive: However, the Law is not of faith; on the contrary, “He who practices them shall live by them.” God’s written law itself marks the danger of trying to live up to its standard, which is perfection. If you are relying on works of the law as your means of salvation, then you have to live by them perfectly. Pointing up that same truth in the Sermon on the Mount, Jesus destroyed the very foundation of legalistic Judaism. Because God’s standard is perfection, He said; “You are to be perfect, as your heavenly Father is perfect” (Matt. 5:48). And He had already made clear that God’s standard of perfection is inner virtue and perfection, not simply outwardly respectable behavior. To those who piously asserted they had never committed murder, He said, “Everyone who is angry with his brother shall be guilty before the court; and whoever shall say to his brother, ‘Raca,’ shall be guilty before the supreme court; and whoever shall say, ‘You fool,’ shall be guilty enough to go into the fiery hell” (Matt. 5:22). And to those who claimed they had never committed adultery, He said, “Everyone who looks on a woman to lust for her has committed adultery with her already in his heart” (v. 28). Whether consulting the texts in Deuteronomy, Habakkuk, or Leviticus, the message is the same: perfection allows no exceptions, no failure of the smallest sort. To break the law in one place is to break it all, “for whoever keeps the whole law and yet stumbles in one point, he has become guilty of all” (James 2:10). No wonder the Holy Spirit inspired Paul to write that “by the deeds of the law there shall no flesh be justified in His sight” (Rom. 3:20, KJV). A ship that is moored to a dock by a chain is only as secure as the weakest link in that chain. If a severe storm comes and causes even one link to break, the entire ship breaks away. So it is for those who try to come to God by their own perfection. They will be lost and forever wrecked. Imagine the scene: An entire nation gathers on the sides of two mountains to worship. Half the people stand on one mountainside, half on the other. They worship responsively, alternating their praise. First one group cries out to God, and then the other, with every man, woman, and child shouting in unison. This was the scene when the people of God crossed the Jordan River and entered the Promised Land. According to the command of Moses, six tribes stood on Mount Gerizim and six on Mount Ebal to form an antiphonal choir. Rather than singing in harmony, they recited a litany of blessings and curses. The tribes on Mount Gerizim blessed the people of God, while the tribes on Mount Ebal cursed them. The apostle Paul knew these curses well. He had read them in the book of Deuteronomy, of course, but he had also heard them recited on five memorable occasions. Five times Paul was punished by the Jews for preaching the gospel, and each time he received the standard punishment: “forty lashes minus one” (2 Cor. 11:24). The synagogue manuals of that time required someone to read out the curses of the law while the prisoner was being whipped. Thus as Paul received the final stripe on his back, he may well have heard the very words that he later quoted to the Galatians: “Cursed be everyone who does not abide by all things written in the Book of the Law, and do them” (Gal. 3:10). This verse pronounces God’s solemn judgment against sinful humanity. God’s standard is perfect. He requires nothing less than total obedience to the entire law. God’s perfect law is for everyone, for Jew and Gentile alike. Some recent commentators argue that Paul was referring to the disobedience of Israel as a nation, and not to the sin of individuals. However, in the context of Deuteronomy, God’s curse clearly falls on individuals who fail to keep the law. Others suggest that these verses refer only to the Jews, but this is to overlook the fact that everyone is obligated to obey God. God’s law is not just for Jews as Jews; it is for human beings as human beings. Not only must we keep God’s law, but we must also continue to keep it. God requires consistent, constant obedience to his revealed will. Furthermore, the law must be kept in its entirety. Everyone must continue to do everything written in God’s law, down to the last detail. The Scripture refers here to God’s moral law, and not merely to the rituals that separate Jews from Gentiles, as the New Perspective on Paul and the law would have it. This makes a critical difference to our interpretation of Galatians, and indeed to our whole understanding of the gospel. The New Perspective maintains that when Paul wrote about abiding by all things written in the book of the law, he did not have the whole Old Testament law in mind. What he meant instead were the ceremonial regulations that marked Israelites off from Gentiles, such as circumcision and the rules for table fellowship, not the moral code that people might use to justify their righteousness before God. At stake in the recent dispute over this verse is Paul’s purpose in writing Galatians and, by extension, his understanding of the doctrine of justification. Is Paul only concerned to challenge Jewish Christians not to refuse table fellowship with Gentile Christians, as the New Perspective maintains? Or, in keeping with the classic Protestant understanding of Paul and the law, is he more fundamentally concerned with the way in which sinners might hope to have a saving relationship with a righteous God? In citing Deuteronomy 27:26, Paul supplies the answer. This verse wraps up an exhaustive catalog of the demands that God makes in his law (nearly all of which fall under the category of moral law) and his curse on anyone who violates any one of these demands. When Paul writes, “All who rely on observing the law are under a curse” (Gal. 3:10 niv), he is defending the doctrine of justification through faith alone, insisting that no one can be accepted by God through the law unless it is kept in all its perfection. As it is written, “Whoever keeps the whole law but fails in one point has become accountable for all of it” (James 2:10; cf. Heb. 2:2). The punishment for failing to keep God’s perfect standard is God’s righteous curse. Every lawbreaker is subject to divine condemnation. “What does every sin deserve?” asks the Westminster Shorter Catechism. The answer is, “Every sin deserves God’s wrath and curse, both in this life, and that which is to come” (Q. & A. 84). This means that we ourselves are under the same curse that was shouted down from Mount Ebal. There is a hidden premise in Galatians 3:10, a premise so obvious that it remains unspoken: We are lawbreakers. We are sinners living in rebellion against God. To quote again from the Shorter Catechism, “No mere man since the fall is able in this life perfectly to keep the commandments of God, but doth daily break them in thought, word, and deed” (A. 82). This is the doctrine of total depravity: not that we are as sinful as we can possibly be, but that we are all sinful all the way through. There is no part of us—body, soul, or spirit; mind, heart, or will—that is not corrupt. The doctrine of depravity is taught everywhere in Scripture: “There is no one who does not sin” (1 Kings 8:46); “All we like sheep have gone astray; we have turned every one to his own way” (Isa. 53:6); “None is righteous, no, not one” (Rom. 3:10); “for all have sinned and fall short of the glory of God” (Rom. 3:23). What the Bible says about human nature is confirmed by human history, which is a sordid tale of war and woe. It is confirmed by our neighbors, by the lies of our co-workers and the self-centeredness of the people on our street. It is confirmed by the petty disagreements within our families and even our churches. But the doctrine of total depravity writes its most compelling proof on our own hearts. Your own guilty conscience ought to be enough to convince you that you are unworthy of God. Do you ever stretch the truth? Do you ever take something that doesn’t exactly belong to you? Do you ever speak an unkind word? If so, then God’s law condemns you as an accursed liar, thief, and murderer. If it is true that everyone, without exception, is condemned by the curse of the law, then why would anyone ever try to base salvation on keeping the law? This is Paul’s point. Everyone who depends on the law is under a curse because the law curses everyone who breaks it, which everyone does. Ironically, by advocating obedience to the law the Judaizers were not escaping God’s curse but actually incurring it! The problem with the law, then, is not the law; the problem with the law is our sin. Since we cannot keep the law, the law cannot bless us. All it can do is curse us, placing us under the condemnation of divine wrath. If the law cannot bless us, then how can we receive God’s blessing? This is the question Paul has been wrestling with throughout this letter. How do I stand in right relationship with God? How can God accept me? What must I do to gain his favor? In a word, how can I be justified? There are two possibilities: Either I am justified by works of the law or I am justified by faith in Jesus Christ. Paul’s answer, of course, is that justification comes only by faith and not by works. He has stated this before, but here he repeats it: “Now it is evident that no one is justified before God by the law, for ‘The righteous shall live by faith.’ But the law is not of faith, rather ‘The one who does them shall live by them’ ” (Gal. 3:11–12). Justification cannot come by works of the law; it must come by faith. Faith and works operate according to different principles. They are two entirely different ways to live: by believing and by doing. If we live by faith, we trust God to justify us through Jesus Christ. As Paul preached on another occasion, “by him everyone who believes is freed from everything from which you could not be freed by the law of Moses” (Acts 13:38–39). On the other hand, if we live by works, we count on our own contribution to make us fully acceptable to God. But we cannot have it both ways. Believing and doing are mutually exclusive. Either we trust God to justify us through faith or we try to justify ourselves by works. Paul illustrates these two life-principles from the Old Testament. In verse 11 he quotes from the prophet Habakkuk: “The righteous shall live by faith.” To quote the entire verse: “Behold, his soul is puffed up; it is not upright within him, but the righteous shall live by his faith” (Hab. 2:4). This must have been an important verse to Paul, since it also shows up as the theme verse of Romans (Rom. 1:17). In their original context, Habakkuk’s words condemned the pride of the Babylonians who conquered Jerusalem. The prophet accused them of proud self-confidence. They were “not right in relation to God: instead of trusting in him they held aloof in a spirit of self-sufficiency, trusting in themselves.” But this is not how God wants his people to live. He wants them to live by faith. They are the justified ones, the ones who have been declared righteous by God. Now they must live by faith, as Abraham did. Instead of trusting in themselves, they must trust God. Faith must characterize their relationship with God from beginning to end. Not long after he recovered, Luther went on to Rome, where he visited the church of St. John Lateran. The pope had promised an indulgence forgiving the sins of any pilgrim who mounted its staircase, which was alleged to have come from the judgment hall of Pontius Pilate. Believing that the steps were stained with blood of Christ, pilgrims mounted the stairs on their knees, pausing frequently to pray and kiss the holy staircase. Martin Luther rightly understood that the works of the law cannot justify the way faith can. The law is a different way of living entirely, and it operates according to a completely different principle. To illustrate the life-principle of the law, Paul quoted from the book of Leviticus: “The one who does them shall live by them” (Gal. 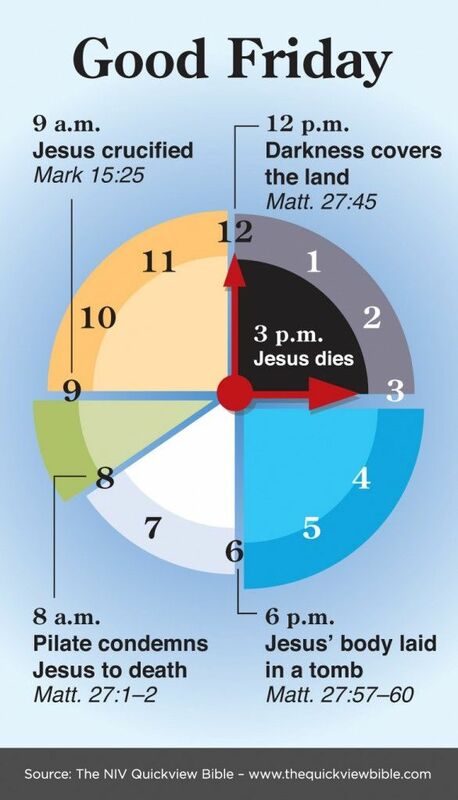 3:12). To quote the original passage in its entirety: “You shall follow my rules and keep my statutes and walk in them. I am the Lord your God. You shall therefore keep my statutes and my rules; if a person does them, he shall live by them: I am the Lord” (Lev. 18:4–5). The law, as found in Leviticus and elsewhere, operates on a different basis from faith. The only blessings it has to offer are for those who keep it. As far as justification is concerned, the law is not for believers; it is only for doers. Therefore, the law is based on works. Thomas Schreiner offers this paraphrase to explain what Paul means: “Salvation by works of the law is contrary to faith, for salvation by works of law means that the one who does the law will live by his obedience.” This is the principle of the law: Just do it. If you do the law, you will be legally righteous, and you will live. This implies that the law could save us if we could keep it. The trouble is—and this takes us back to the problem with the law in verse 10—that no one can keep it. If we could keep the law, we would be justified by the law; but we can’t, so we won’t. The principle of the law is living by doing; the problem with the law is that we cannot live up to it. Luther rightly understood that only Christ can justify a sinner, and only through his cross. The apostle Paul explained it to the Galatians like this: “Christ redeemed us from the curse of the law by becoming a curse for us—for it is written, ‘Cursed is everyone who is hanged on a tree’ ” (Gal. 3:13). This verse is a reminder of the penalty first mentioned in verse 10. The penalty of the law is the wrath of God. God’s law pronounces a curse on everyone who fails to keep it—a curse, remember, that we are all under. Therefore, if we are to be saved, the curse must be removed. And this is what Christ was doing on the cross: redeeming his people from the law’s accursed penalty. The word “redemption” comes from the marketplace. It refers to the payment of a price, as it sometimes does today. For example, the coupon on the top of a cereal box can be “redeemed” for a prize. In Paul’s world, the word “redeemed” was most often used at the slave market, where it referred to the purchase price for a slave. Sometimes a friend or a relative would buy a slave back from captivity and set him free. The slave would thus be liberated through the payment of a ransom. Ordinarily, a ransom price is paid by the highest bidder. In the case of the redemption of God’s children, bound in slavery to sin, the price was the highest ransom of all. In the triumphant words of an ancient hymn by Venantius Honorius Fortunatus (530–609): “The royal banners forward go, / The cross shows forth redemption’s flow. / Where He, by whom our flesh was made, / Our ransom in His flesh has paid.” We have been redeemed by the very lifeblood of Jesus Christ. When the New Testament speaks of the redemption of sinners, it customarily emphasizes redemption’s costly price: “the Son of Man came not to be served but to serve, and to give his life as a ransom for many” (Matt. 20:28); “you were ransomed from the futile ways inherited from your forefathers, not with perishable things such as silver or gold, but with the precious blood of Christ, like that of a lamb without blemish or spot” (1 Peter 1:18–19). In order to pay this priceless ransom, Jesus had to endure God’s curse. To understand what this means, it helps to know the Old Testament law for the execution of a criminal: “And if a man has committed a crime punishable by death and he is put to death, and you hang him on a tree, his body shall not remain all night on the tree, but you shall bury him the same day, for a hanged man is cursed by God. You shall not defile the land that the Lord your God is giving you for an inheritance” (Deut. 21:22–23). The point of hanging a criminal in this way was to expose his capital crime to public shame. Hoisting his body onto a tree demonstrated that he was under God’s curse. But he was not to be left on the tree overnight, for this would be an offense to God. God’s people took these regulations seriously. When Joshua defeated five Canaanite kings at Makkedah, he had their corpses displayed on five trees and taken down at sunset (Josh. 10:26). The same thing was done with seven sons of Saul at Gibeah (2 Sam. 21:6). 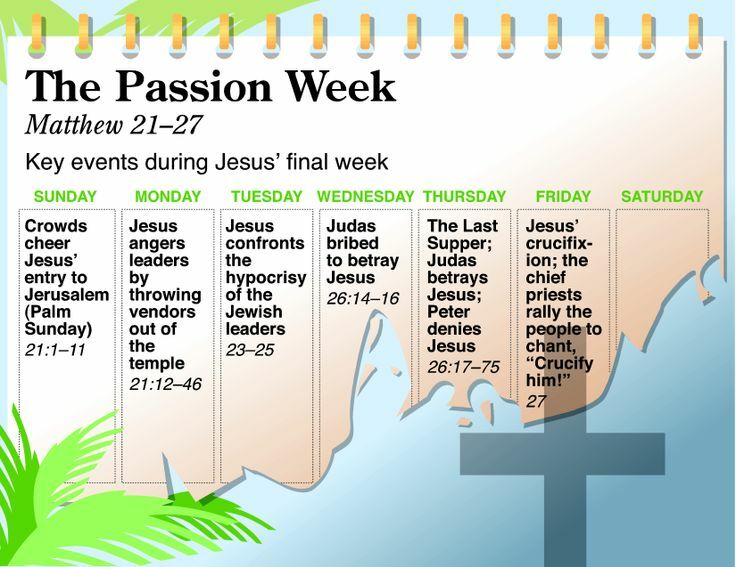 Remember, too, that the Jewish leaders wanted to be sure to get Jesus down from the cross before sundown (John 19:31), so as not to desecrate the Sabbath. To hang on a tree was the ultimate curse. Imagine, then, how offensive Christianity was to the Jews, because at the very heart of its message was a man hanging on a tree! The apostolic message was about a man who was so cursed by God that he was crucified. Yet rather than concealing this fact, the apostles drew attention to it. When Peter preached to the Jewish leaders in Jerusalem, he said, “The God of our fathers raised Jesus, whom you killed by hanging him on a tree” (Acts 5:30). Peter used the same word in his first letter: “He himself bore our sins in his body on the tree” (1 Peter 2:24). Or again, when Paul spoke in the synagogue at Pisidian Antioch, he described how Jesus was taken down “from the tree” (Acts 13:29). The apostles almost went out of their way to call the cross a “tree.” At the same time, they claimed that the crucified Jesus was also the Christ. To the Jews, this was absolute blasphemy: a cursed Messiah on a cursed cross. No wonder the cross was such a stumbling block to them! To put it in the most shocking and yet perhaps the most accurate way, the apostolic message was about a God-damned Messiah. Jewish hostility to this idea is documented in several ancient texts. Writing in the second century, Justin (c. 100–165) recounts a conversation with Trypho the Jew, who refused to believe that God’s Messiah could die on a tree. He said, “But whether Christ should be so shamefully crucified, this we are in doubt about. For whosoever is crucified is said in the law to be accursed, so that I am exceedingly incredulous on this point.” Another writer from the same period, Aristo of Pella, recorded a similar dispute between a Christian and a Jew concerning the crucifixion. When he realized what the Christian was claiming, the Jew, whose name was Papiscus, dismissed Jesus entirely, saying, “The execration of God is he that is hanged.”13 What could be more blasphemous than an alleged Messiah nailed to an accursed tree? Paul meant every word because he understood what Christ was doing on the cross. His death was a substitution; he was crucified in our place. As Paul wrote to the Corinthians, “[God] made him to be sin who knew no sin” (2 Cor. 5:21). And when he took our sins upon himself, Christ also had to bear God’s curse, becoming “a curse for us” (Gal. 3:13). The death penalty for breaking the law was executed on Jesus Christ. He was condemned by the very curses that were once shouted from Mount Ebal. He is not acting in His own Person now. Now He is not the Son of God, born of the Virgin. But He is a sinner, who has and bears the sin of Paul, the former blasphemer, persecutor, and assaulter; of Peter, who denied Christ; of David, who was an adulterer and a murderer, and who caused the Gentiles to blaspheme the name of the Lord. In short, He has and bears all the sins of all men in His body—not in the sense that He has committed them but in the sense that He took these sins, committed by us, upon His own body, in order to make satisfaction for them with His own blood. Now perhaps we can begin to understand the meaning of Christ’s cry of dereliction from the cross: “My God, my God, why have you forsaken me?” (Matt. 27:46). When he hung on the tree, God the Son was accursed by God the Father. The law’s curse is God’s curse because the law is God’s law. Thus, Christ became an object of divine reprobation, cursed both by God and by his law. In that old cursed cross we see the wrath of God against the sin of humanity. 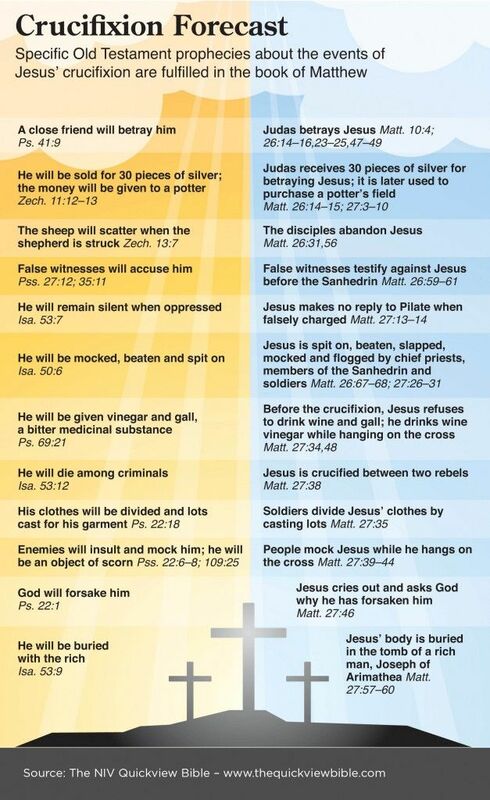 The cross is a public demonstration for all time of his condemnation. Having seen the God-man on the cursed tree, who can doubt the sinfulness of sin or the wrath of God? The love of Christ is wondrous. He was crucified to remove the curse. Since we are no longer subject to the death penalty of the law, we can receive the promise of the gospel, “that in Christ Jesus the blessing of Abraham might come to the Gentiles, so that we might receive the promised Spirit through faith” (Gal. 3:14). Here Paul summarizes everything he has been saying in this chapter. He reminds us of the blessing given to Abraham: a right standing with God. He reminds us that this blessing is for all the nations of the Gentiles. He reminds us that God’s blessing includes receiving the Holy Spirit, with all his gifts and graces. All these blessings could never come by works of the law. They come only “in Christ Jesus.” This is the doctrine of union with Christ—that all of God’s blessings come to us when we get into Jesus Christ. And the way to get into Jesus is by faith. All of God’s blessings come only through faith in the cross of Christ. Through the old cursed cross the nations of the world receive forgiveness for their sins. Through the old cursed cross we are accepted by God’s justifying grace. Through the old cursed cross we receive the promised Holy Spirit. We receive all these things by faith in the crucified Christ. Faith deserves to have the last word because it is the last word in Galatians 3:14. What was a curse for Christ becomes a blessing to us by faith. 11 This juxtaposition continues as Paul writes, “Clearly no one is justified before God by law, because, ‘The righteous will live by faith.’ ” Paralleling the thought of v. 10, Paul reiterates the fact that no one is justified by the law. Paul’s scriptural argument, then, essentially continues along the lines of the preceding verses: “righteousness” is the domain of faith, while “curse” is the stronghold of law. Paul’s use of Habakkuk is probably his appropriation of an early Christian expression of faith. The early church would have used this “word of faith” as a vehicle to remind one another of the basis of life in Christ (cf. Longenecker, 119). The point Paul seems to be making with this quotation is that one who is “within this faith” shall live (ek pisteōs, “from within this faith”). In other words, Paul “strips faithfulness to its core of faith in God” (Fung, 144–45), thus expressing the validity of Habakkuk’s message as applied to his Galatian converts. Essentially, Paul is simply again emphasizing his previous point that the one who would emulate Abraham and share in his blessing is the one who exercises faith in God’s promise and integrity. MacArthur, J. F., Jr. (1983). Galatians (pp. 76–78). Chicago: Moody Press. Ryken, P. G. (2005). Galatians. (R. D. Phillips, P. G. Ryken, & D. M. Doriani, Eds.) (pp. 106–118). Phillipsburg, NJ: P&R Publishing. Rapa, R. K. (2008). Galatians. In T. Longman III &. Garland, David E. (Ed. ), The Expositor’s Bible Commentary: Romans–Galatians (Revised Edition) (Vol. 11, p. 595). Grand Rapids, MI: Zondervan. This entry was posted in Daily Devotional Guide, Verse of the day on January 31, 2018 by Truth2Freedom.